The UPND will hold a peaceful, public rally next weekend in Kitwe. According to a notification given to the police, UPND leaders Hakainde Hichilema, Geoffrey Mwamba, Mutale Nalumango and others will address the more 10, 000 expected crowd. 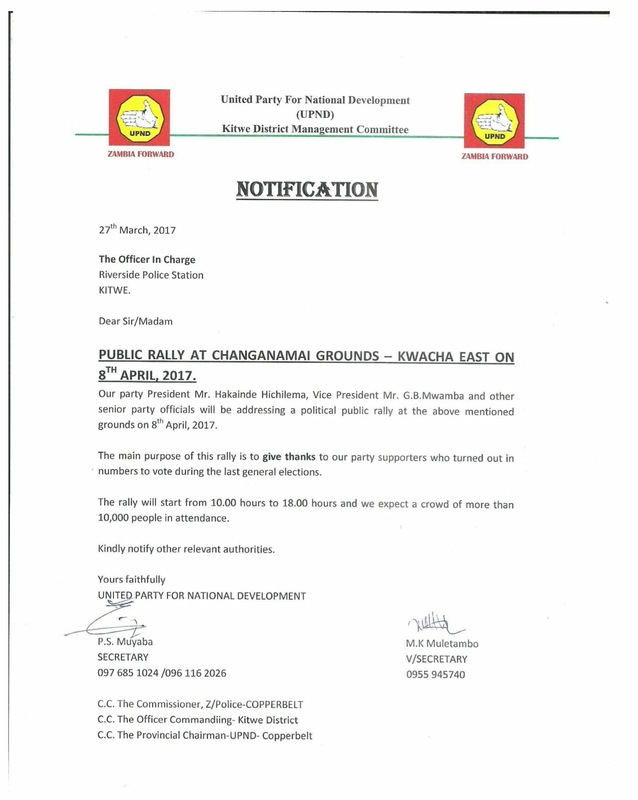 The rally will be held at Changanamai grounds in Kwacha East from 10 hours to 19 hours.